GIBRALTAR has hit back at accusations it is using ‘delaying tactics’ over the fishing dispute after a meeting was cancelled at short notice. 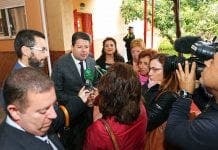 Representatives for Spanish fishermen in La Linea and Algeciras claimed Gibraltar was ‘making fools’ of them after a meeting between a Spanish oceanographer and members of the independent commission set up to handle the dispute failed to take place. But officials on the Rock insist the no-show was simply a ‘diary issue’ after the Spanish gave just two days notice. “The working group is still within the original timeframe of 60 days,” a Government spokesman said. The talks come amid continued clashes between Spanish fishermen and Gibraltar police, with Spain’s Minister for Agriculture Miguel Arias Canete vowing to continue offering ‘full protection’ to its fishermen. And again close the fence is the better we can do. I too appreciate a thoughtful, well constructed argument and I especially appreciate that you are not just blindly mouthing slogans (or worst). My argument is based on the critical fact that Gibraltar is listed by the UN as a territory that still needs to be decolonised. This is no accident of history, the UK specifically requested that Gibraltar be included on that list. It is also fundamental. This fact can be used to distinguish the other territories you have mentioned (Ceuta, Melilla, Yugoslavia etc). It also puts into question the validity, in international law, of the Treaty of Utrecht. That treaty might have validity otherwise, although there is a valid argument that British occupation of the isthmus and its failure to implement all of its provisions means that the UK is in breach of the treaty. However, the fact that the UN has identified Gibraltar as one of the territories that still need to be decolonised means that the treaty’s validity today is even more questionable. The number of peremptory norms is considered limited but not exclusively catalogued. They are not listed or defined by any authoritative body, but arise out of case law and changing social and political attitudes. Generally included are prohibitions on waging aggressive war, crimes against humanity, war crimes, maritime piracy, genocide, apartheid, slavery and torture. As an example, the ICJ has regarded the principle that it is impermissible for a State to acquire territory through war as a peremptory norm. You should also be are aware that the trend in international State practice is for enclaves (and yes exclaves also) to return to the mainland, irrespective of a valid treaty cession (see the following recent examples: Goa; Hong Kong; Macau; and Walvis Bay). This trend is supported by ICJ case law. For example, in the Western Sahara case the ICJ found that some pre-existing legal ties of a third state to the territory colonized by some other state could in principle affect the decolonization of the territory (see para. 162 in particular). On the facts of that case, the Court did not find that such legal ties existed between Morocco and the Mauritanian entity and Western Sahara, and therefore it did not specify what the precise effect of such ties could be. Arguably, however, if a third state had title over the territory, which was usurped by the colonizer, this would have an effect of limiting the right of a people of that territory to internal, rather than external self-determination, as is indeed normally the case. No one is suggesting that the current occupants of Gibraltar should be removed, let alone removed through the use of force (even though this is exactly what the British did to the Spanish inhabitants of Gibraltar in 1704). As previously mentioned, under international law the current occupants of the British colony have a right to have their ‘interests’ considered but they have no right to unilaterally determine the nationality of the land they live in. Just for the record, the majority of Gibraltarians are not of Spanish descent. The demographics of Gibraltar reflects Gibraltarians’ racial and cultural fusion of the many European and non-European immigrants who came to there over three hundred years. The majority are British, Genoese and other Italians, Maltese, Jews and Portuguese. They are the descendants of economic migrants that came to Gibraltar to service the naval base established there after the original Spanish population was displaced by the British in 1704. By the way, it’s all very well to be concerned about the ‘interests’ of the current occupants of Gibraltar, but what about the ‘interests’ of the 5,000 Spanish inhabitants and their descendants who lost everything when they were displaced by force by the British? The Treaty of Utrecht says that the fence must be closed. Why is it open?. Spanish Government ought to be sued for not close it. UK is not fulfilling the Treaty either, has expanded to Spanish tetorritory and not being confined in the spots signed in the Treaty. 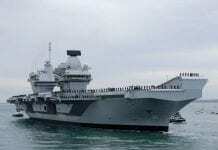 Spain can and must do the life impossible to the 30000 colonialists in Gibraltar. And the Government ought to be sued for high traition for not doing it. A modern siege is their duty. Ah yes, the old Irish pastime of ‘whatabaoutery’. Well, their descendants set up a new Gibraltar in San Roque, called ‘La Ciudad de Gibraltar en San Roque’ – they seem happy there and haven’t been demanding the right of return. They don’t have “interests” because no one is alive that was here 300 years ago. This is only applicable to individuals who are alive – or who can be proven to be descendants who lost something of value during the displacement. Only living people have interests. Similarly to Native Americans in the USA, you have to show proof that you are an actual descendant of a displaced group. Maybe if the foreign Spanish fishermen in Gibraltar’s waters can prove that their ancestors were displaced fishermen – and that they were not later immigrant who moved and took up the trade – they would have a leg to stand on. But, until that day, they are just as ‘foreign’ as anyone in Gibraltar. The UN is not the source of what defines a “people” or an “ethnicity.” By anthropological definition, they are, in fact, a unique ethnicity and people. I think that you need to get outside the box, the limited idea, that the UN is what defines international law, or particularly that the UN is what defines scientific, or anthropological, concepts such as ethnicity or peoplehood. If the UN fails to recognize a unique people or ethnic group – which it is doing assuming your interpretation (also disputed among legal scholars, cited previously) is true -then it is both scientifically and morally wrong. You still have to justify the UN decision on its on merit; it doesn’t have merit simply because it is the UN. Not any more than “it’s the law” in Singapore that you can be executed for minor drug possession, or “it’s the law” that ‘colored’ people must be segregated and use separate water fountains. The whole position is authoritarian and falls back on the legal fallacy; the idea that legality is ‘right’. You’ve go to justify the UN definition first. Why should I accept a UN political decision on who a “people” are when anthropologically they are, in fact, defined as a people and a unique ethnic group? You actually have legal philosophy and theory backwards. It is, in fact, the primary assumption that individuals have innate rights to self-determination. Not that legal decisions give them those rights. The legal decisions are designed to enforce what are are believed to be pre-existing, innate human rights. If the law does not do that, it is an immoral and wrong law. There have been many “legal criteria” throughout history that discriminate against ethnic and cultural groups. If the UN fails to recognize Gibraltar as a “people” (again, which is your interpretation – there is no actual binding UN resolution that says such) then it is acting immorally and against the innate human rights of that ethnic group.